A museum about the assassination of US president John F Kennedy in Dallas in 1963. It's housed in an authentic location, namely the eponymous sixth floor of the building from where the shots were fired. A recreation of the sniper's nest used by the assassin forms part of the exhibition. Mostly the exhibition is about JFK, the investigation, its official conclusion and its aftermath, but some of the many conspiracy theories are also touched upon. The serious purveyors of conspiracy theories, however, can be found outside, on Dealey Plaza and the infamous "grassy knoll". It's an incredibly popular, and much discussed, prime dark tourism attraction. An absolute "must-do" when in Dallas. More background info: The general story of the JFK assassination is well-known enough, so a very brief historical summary can suffice here. JFK's comparative youth as president of the USA, and the beginning of the new youth-driven general cultural atmosphere of the 1960s, combined to make for an optimistic political outlook during Kennedy's term in office. During this period he already made history, e.g. with his handling of the Cuban missile crisis (though he failed earlier in the Bay of Pigs incident – but was quick to learn lessons from it), his pledge to support a space programme with the goal of putting a man on the moon, and in Europe with his high-profile visit to Berlin. By late 1963 the campaign for re-election had begun, and it was in this context that Kennedy planned his visit to Dallas on 22 November – even though he wasn't universally welcome there (the museum has examples of anti-Kennedy ads placed in newspapers). Kennedy's style of being an almost hands-on people's president was to be continued during the visit, when his convoy of open-top cars would pass through downtown Dallas – with lots of waving and cheering. Photography and film had become consumer-affordable by that time, so many people captured the visit on celluloid (and Polaroid) ... which later proved to be valuable material for the investigation. At the western end of downtown and Main Street, the motorcade turned first into Houston Street, and then left into Elm Street heading towards the triple underpass at Dealey Plaza at 12:30. Then suddenly shots rang out. One missed, another hit the president in the throat from behind and the same bullet then passed on and also hit Governor Connally, who was sitting in the front passenger seat. The realization of what was happening was only beginning to set in at the scene when yet another shot hit JFK in the head, blowing away part of his skull. This was the fatal shot. People around panicked, JFK's wife Jackie, who was sitting next to him, clambered onto the top of the trunk of the car (apparently to retrieve part of her husband's head). Security guards sped towards the car, which then accelerated and raced to a hospital. There, JFK was pronounced dead not much later. He never had a chance of surviving his head wound. 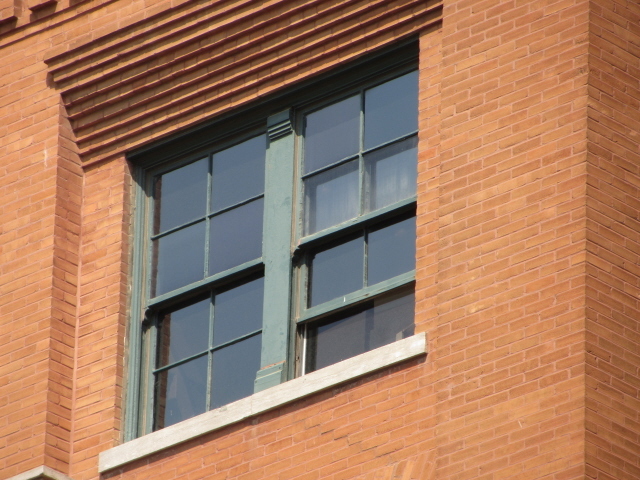 The shots had come from the corner window of the sixth floor of the then Texas School Book Depository building at the intersection of Elm Street and Houston Street. Witnesses reported they had heard shots coming from that direction. And indeed three spent cartridges were soon after found near the window where the gunman had made a "sniper's perch" out of cardboard boxes. But the man himself had already managed to slip out before police sealed off the building. Not much later, a discarded rifle with a telescopic sight was found near the staircase – the weapon that the assassin's shots had indeed been fired from. However, it didn't take long to apprehend a suspect: Lee Harvey Oswald. He had initially been arrested for shooting a policeman who had stopped him shortly after the assassination, but he was soon linked with the rifle (which had his fingerprints on it) and the sniper's nest at Dealey Plaza. Just two days later, while still denying all charges, Oswald was himself shot – as he was being led through the basement of the Dallas Police HQ, nightclub owner Jack Ruby suddenly stepped forward from the crowed and shot the handcuffed Oswald in the belly. He died shortly after – ironically in the same hospital that Kennedy had been pronounced dead at two days earlier. Ruby was later sentenced to life imprisonment. But with the prime suspect of the Kennedy assassination dead, the exact motives for the assassination would never be revealed and thus remain in the realm of speculation. The very fact that he was shot too naturally fuelled suspicions of a cover-up. What little is known for solid fact is that Oswald had been a Marine, defected to the Soviet Union for a few years, but returned, with a Russian wife, to the USA in 1962. He campaigned against the USA's policies regarding Cuba and obviously had communist leanings (although he preferred the designation Marxist, when questioned about this). He had had a patchy work career but happened to become an employee at the Texas School Book Depository in mid October 1963. With the route of the president's motorcade made public he must have seen his chance. Why exactly he decided to assassinate the president will never be known for certain, but it must have been in part to do with his general hatred of American society and politics which he apparently had developed over many years. The media reaction to the assassination was massive – and global. The shock that JFK's violent death caused is even still felt to this day. In turn, it helped cement JFK's legend for eternity – which also is a difficult legacy for all presidents that came after him. JFK remains one of the most universally popular presidents the USA has ever had. And of course, there are the conspiracy theories. The official story, as conveyed briefly above, has been widely contested. In particular, the idea of a single man being responsible for the assassination has not been easy to believe. Even some witnesses claimed to have heard shots or seen a second gunman on the grassy knoll to the north-west of Dealey Plaza. This at first appeared consistent with the film documents of the scene – in particular a 8mm film section shot by bystander Abraham Zapruder which appeared to show the president being hit from the front rather than from behind when the fatal shot came. "Alternative" theories of the assassination even featured in high-profile films, especially the well-known 1991 Oliver Stone movie "JFK". However, successive investigations and re-investigations have pretty much confirmed that it was indeed Oswald who was the lone assassin – even if there could have been scores of others with an interest in ending JFK's career in this way. Even recently, allegations have resurfaced that Cuba's Fidel Castro may have been behind the assassination … he would certainly have had a motive, but that's hardly enough to sustain such an accusation. It has to be said, though, that the "mystery" surrounding JFK's assassination has proved a more fertile ground for conspiracy theories than virtually any other event in modern history. To this day, at Dealey Plaza opponents of the official story try to win visitors over with their alternative suggestions. With what degree of success I cannot say, but their efforts certainly add to the whole atmosphere of "authenticity" and "urgency" of the place – it's as if it only happened recently and was still under investigation. The museum was incepted in 1989, a few years after the building had been turned into the Dallas County Administration Building (initially leaving the top two floors empty). In 1993, the whole of Dealey Plaza was designated a Historical Landmark District. It is arguably Dallas's No. 1 tourist sight overall. What there is to see: This is an extremely popular museum – which is good from the point of view of those running it, but has its downsides from the point of view of the visitor. It gets very crowded! You will most likely have to stand in line for quite a while before you can even get inside the museum. The crowd management works more or less fine, though. They are clearly used to it and have the appropriate staff levels for dealing with the crowds. Once you've made it past the ticket counter where you part with the money for admission (which I find just a little on the expensive side) and before you take an elevator up to the actual sixth floor you are handed an audio guide. Apart from English, these are also available in six other languages. Be prepared, however, to have to interrupt the audio commentary at various points during your visit. Firstly, the crowds can cause serious congestion at some points so you may have to wait before you can actually see what the narration is about. Secondly, there are various films shown on video screens and in two designated theatres and these have their own audio commentary – so if you want to follow these you have to switch the audio guide off. Thirdly and lastly, the pace of the audio guide would not allow you to properly take in many of the exhibits, let alone read all the associated texts. Indeed, I felt quite rushed by the audio guide. For some visitors this may be fine, so long as they're happy with just relying on what the audio guide picks out selectively. But if you want to make your own decisions, and especially if you want to study all or some of the exhibits more comprehensively, the audio guide can only be used as an on-and-off extra add-on. Thematically, the exhibition is ordered into blocks that more or less follow the given chronology. It starts with the years prior to the assassination, devoting plenty of room (and film footage) to the years of Kennedy's presidency and the legacy he built up in those few years – all embedded in an account of what American society was like back then and how changes had begun to set in … in society, culture and technology. The next section looks more specifically at the presidential visit to Dallas, from the planning during the (re-)election campaign, the opposition to Kennedy in Dallas, and the actual reception there when he arrived. Naturally, the main focus from then on is on the assassination itself. The event is illustrated by various stills of the moments the shots hit. The initial radio reports are played and transcripts are on display. Much of the footage will be very familiar to many visitors – especially some of the images of Kennedy's motorcade at Dealey Plaza which are amongst the most iconic of the entire 20th century. The actual corner that Oswald used as his "sniper's perch" has been reconstructed. Using photographs made after the discovery of the sniper's position, replica cardboard boxes looking like those used back then (for school book storage) have been placed in positions to emulate the impression the first investigator must have had. You can peek into the very place where the historic shots were fired from, but glass panels prevent visitors from actually getting into the very same space themselves. This is explained by the museum as a measure in order to preserve the authentic place (e.g. the original wooden floorboards). But it's probably also due to ethical concerns about people misbehaving at this very spot. And that's understandable. 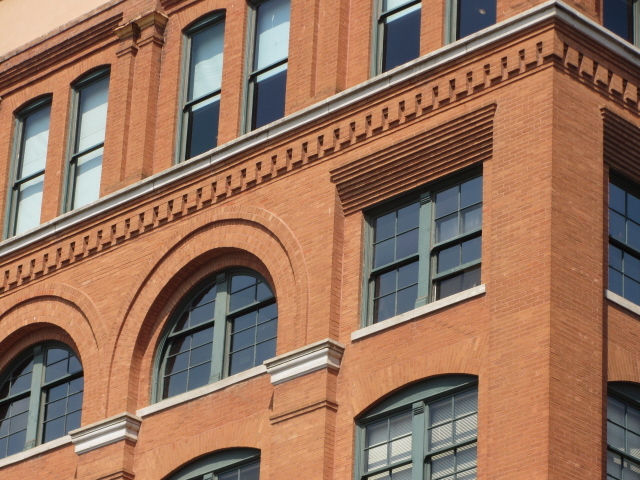 Anyway, those who want to get an approximation of the view down to Dealey Plaza as Oswald must have had on that fateful day can still use the windows next to the sniper's nest. Plenty of empty space is left along this wall facing the street. The exhibition proper continues with the crisis hours immediately after the assassination, the rush to hospital, the pronouncement of JFK's death, the transferral of the body to Air Force One to be flown out of Dallas, vice president Lyndon B Johnson's oath of office while on that flight, as well as various reactions by the media. The exhibition then turns to the perpetrator, his apprehension and background, and the evidence against him. One particularly interesting document on display I found was the note that Oswald left for his Russian wife before the assassination "in case he was taken prisoner" – it's in Russian and the caption in English next to it gives only a brief indication of the note's content. This includes instructions to get rid of clothes, but to keep safe certain documents, the location of a blue document case, money left, and an address book together with hints as to who to turn to for help. The emotional funeral of John F Kennedy in Washington D.C. (cf. Arlington) is covered in great detail as well – and includes all the familiar tear-jerking scenes, especially that most famous one of little John-John saluting his father's coffin. International reactions to the death of JFK from around the world are also shown. More extensive coverage of the forensic investigation into the assassination includes the display of a large number of the camera models used by the public to produce all those images that were later used in the reconstruction of what had happened. Also on display is the scale model of Dealey Plaza that was made for the Warren Commission (the main official body that closed the case and delivered the official version of the story). Overall, however, the museum is rather short on authentic, concrete artefacts – and some visitors have voiced criticism of this fact. Some of the conspiracy theories of the assassination get a mention in a separate section, including the speculations as to who else may have been involved, from Fidel Castro to the Mafia. The exhibition proper finishes with yet another video about the legacy left by JFK. In the far corner, by the rear staircase, another reconstruction shows the place where the rifle was found discarded after the assassination. One floor up, i.e. on the seventh floor, more space was made available a few years ago and this is now used for additional exhibitions – in particular a gallery of artwork related in some way to the museum's topic. There is also a large museum shop – located in the building opposite Houston Street at 501 Elm Street. Here all manner of books, films and whatnot about JFK, his life, his family, his assassination and his legacy are on sale alongside a wide range of general souvenirs and books. A small cafe is also part of the shop. Apart from visiting the museum, you will probably also want to have a stroll around the rest of the Dealey Plaza site. Don't be surprised if you're accosted by street vendors selling newspaper-like, unofficial pamphlets that advocate alternative views and conspiracy. Right at the infamous grassy knoll, some serious conspiracy theorist merchandising takes place ... I preferred to avoid getting involved in any of this. But apart from all this "rogue" commercialism and the tourists flocking around the site, the place still remains primarily just a traffic intersection (providing access to one of the approaches to the triple underpass leading to I-35E under the railway lines). This also means: look out for car traffic – it's not just a playground for tourists! Yet, do also look out for the little white X-marks on the tarmac in the middle lane … these indicate where JFK's car would have been when the shots hit. At the eastern perimeter of Dealey Plaza, i.e. along the western side of Houston Street between Elm Street and Main Street, there are more memorials and a plaque outlining the historical significance of the place and honouring prominent figures – not just JFK but mostly local Dallas notables. Across the road stands the unmistakable Old Red Museum (a former courthouse) and behind it is the proper John F Kennedy Memorial Plaza. This is dominated by a huge memorial – which is a kind of cenotaph: 30 feet (9m) tall white concrete walls surround a square open space, in the centre of which is a granite slab with simply the name of John Fitzgerald Kennedy carved on the side. Another granite stone slab nearby is more wordy and tries to express more a celebration of life, JFK's especially, rather than mourning. The JFK assassination site and especially the dedicated Sixth Floor Museum have been widely discussed in academic literature concerned with the phenomenon of dark tourism. As such it is one of the world's premier such destinations. Yet, as so often, most visitors are probably not even aware that they are engaging in something that's been dubbed dark tourism. It is nevertheless a prime example. However, its popularity also has its downside. I found the museum uncomfortably crowded (and way too chilled down by air-con – I ended up wearing my jacket, scarf and hat inside the exhibition!). On the other hand, it has to be acknowledged that the exhibition designers did a pretty good job in the complicated task of representing such a short incident in history, which had such wide-ranging implications. The exhibition has to do without much in the way of original artefacts that could be displayed. It is thus very much a narrative-based museum, not one for marvelling at particularly remarkable objects. This is something that some visitors evidently find a little disappointing. More disappointment is frequently voiced about the fact that you can't look out of Oswald's original sniper's window or that you can't take any pictures inside the museum. But if you can handle those restrictions (as well as the admission price and the throngs of people) then a visit here is definitely worth it. 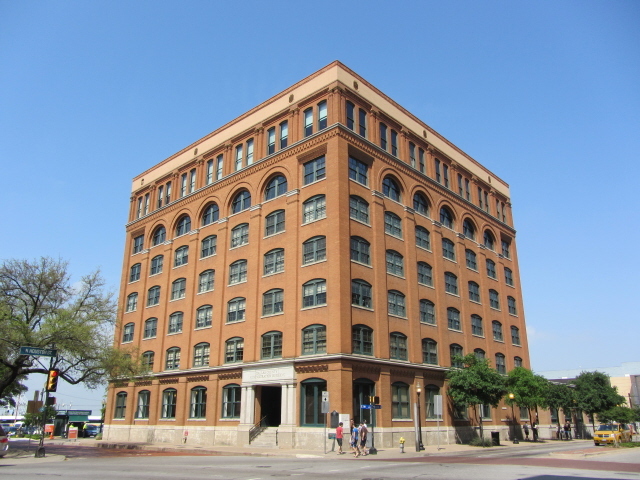 Location: the museum is on the sixth floor (as the name suggests) of the original former Texas School Book Depository building, now the Dallas County Administration Building, at Dealey Plaza in the West End Historic District of downtown Dallas, Texas, USA – address: 411 Elm Street (on the corner of Houston Street). Access and costs: easy to locate, a bit on the pricey side. Details: the location right at the western end of downtown Dallas could hardly be easier to find – and from within downtown it's walkable, just follow Elm Street (northern parallel to Main Street) to its western end where it feeds into the "triple underpass" under the railway bridge towards Interstate 35E. Alternatively there is public transport access by means of buses and the local light railway/tram, which has a stop in the West End just a couple of blocks away on Pacific Avenue. The main railway station, Union Station, is just five blocks to the south too – from there just walk up Houston Street until you get to the corner with Elm Street. The big red-brick square building on the corner that was the Texas School Book Depository cannot be missed. The entrance to the museum is on the south-western corner of the building, but if it's busy (which it is much of the time) the line to wait in extends all the way to the side entrance on Houston street at the south-eastern corner of the building, so you could just as well enter there. Opening times: Tuesday to Sunday 10 a.m. to 6 p.m., Mondays from 12 noon. (Closed for Thanksgiving and Christmas). Admission: 13.50 USD for adults (minimal concessions for children and senior citizens), including audio guide (available in seven languages and in a "young" version as well). Strictly no photography inside the museum! Many visitors are disappointed by this and at least want a snap of the sniper's nest – but guards are on duty to stop visitors doing that. British comedian Dom Joly (see The Dark Tourist) still sneaked one in – and then was chased by a "scary" museum guard all the way out into the street! Instead of that sort of approach I tried negotiating ahead of my visit with the media department of the museum, arguing that taking pictures would aid the accuracy of my research and that some photos would look good on this website for illustration. But to no avail. The best I could have got would have required a professional photo shoot arrangement outside normal opening hours and it would have cost a fortune. And they still would only have allowed wide-angle shots of the interior, but no close-ups or details (for copyright reasons, I was told). So I gave that a miss. However, the museum is letting me use one of its own stock photos, which you can find below in the necessarily small image gallery – it's obviously the one of the sniper's nest. Otherwise, photos from the outside are all I can offer. Time required: depending a bit on how crowded it is, around 90 minutes + extra time (ca. 30 mins.) for a walk outside around Dealey Plaza. Combinations with other dark destinations: around the corner, on North Record Street near the corner with Pacific Avenue, is the Dallas Holocaust Museum. It's small and selective, and with a somewhat unusual approach, but can serve as a good contrast to the Sixth Floor Museum – esp. given the difference in scale: on the one hand such an extensive commodification of a single man's assassination, and on the other a compact, dark and tragic account of the millions murdered in the Holocaust. The contrast helps putting things into perspective. Combinations with non-dark destinations: in general see under Dallas. Just to the north of Dealey Plaza the Historic West End has become one of Dallas's prime recreation/entertainment areas. In the middle of the square opposite the John F Kennedy Memorial Plaza (to its north) stands an odd little structure: a replica of the very first permanent building of what was to become the city of Dallas, namely the cabin of Texas pioneer John Neely Bryan. It's a very odd sight amongst all the surrounding skyscrapers and parking lots of the modern day dwarfing this tiny, quaint little Wild West "olde worlde" relic.